The original WhiteCoat Clipboard that folds in half to conceal all your documents in a HIPAA compliant design. 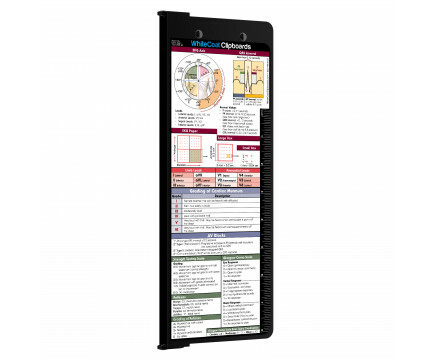 Made of lightweight aluminum with the ability to carry 15 pieces of paper without creasing them, this vertical-folding patented clipboard is great for day-to-day patient care and has our Medical Edition label on the outside for quick referencing. 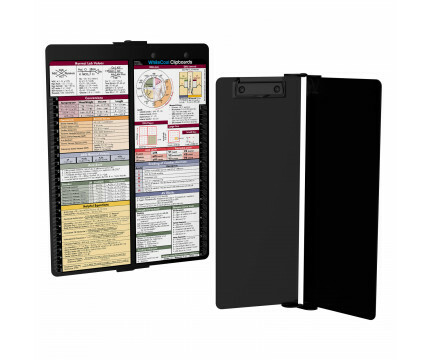 Carry all your patient documents securely without losing your data with this clipboard. 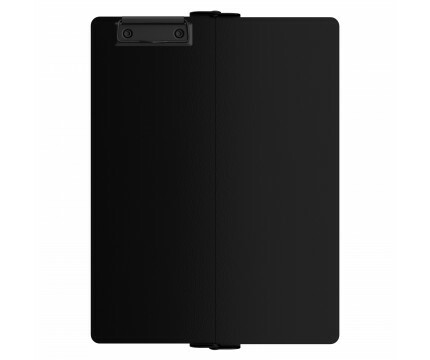 The unique design allows the clipboard to fold along the long axis of the clipboard for easy storage and carrying (opposite to our horizontal folding clipboards). 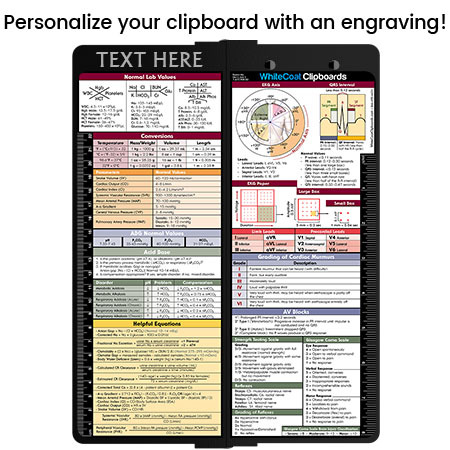 The clipboard also functions as a quick medical reference guide with detailed day-to-day information such as EKG interpretation, acid/base determination, lab values and much more. We offer clipboard clips in white, distressed, brass, and blacked out. Get a pen clip designed specifically for use with any of our Vertical style clipboards. This removable clip is a great way to store your writing instrument without losing it!. Click here to see full details. 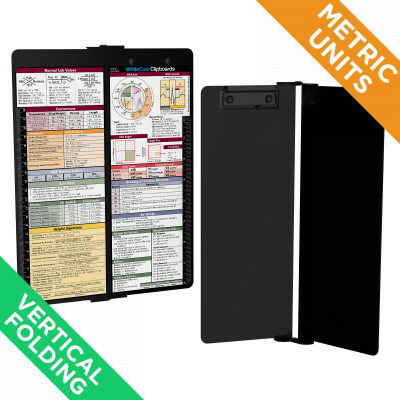 Our 3.5 x10.25 notepads fit our Vertical clipboards perfectly with removable sheets that don't interfere with the foldability of the clipboard! Click here to see full details. Make sure you get the perfect clipboard for you! 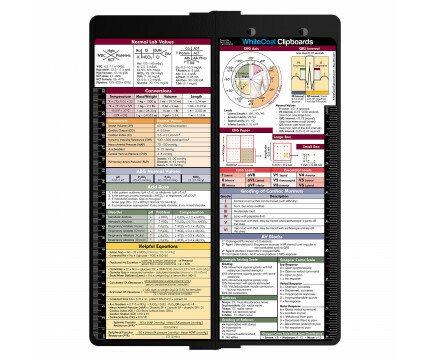 Click here for our other Vertical-fold Medical Edition Clipboard colors!